I was poking around in Joe's Record Paradise today — killing some time while Liam was at soccer practice — and somewhere between looking for the Sylvian Sylvian record I always look for and finding a Wreckless Eric 12” single on green vinyl that I'd bever seen before, the title of a song I hadn't heard or thought about for years (probably since my friend Andy first played it for me!) suddenly popped into my head. Suddenly I was a man with a mission heading straight for the “D's.” Alas… no luck. Just the usual, and my recollection was that this particular song had either been the B-side of a single or some obscure track on an even more obscure compilation. Fortunately, that meant that the song had ended up on a cassette compilation I had put together in the mid-80's. And now it's ending up here. 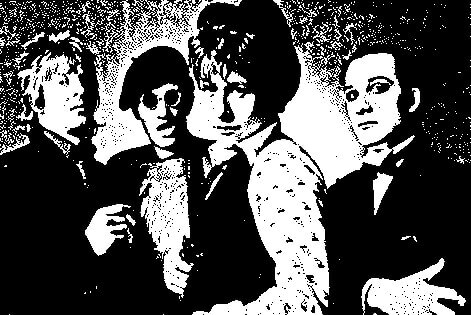 Spontaneously extracted from deep within the the dusty fissures of my memory—and a box of old cassettes— here is today's Happy Medium Song of the Day: “Billy Bad Breaks” by The Damned — the very first British punk band to release an LP — indeed, the first album released by the notable Stiff record label — as well as the first British punk band to tour America. Several noteworthy distinctions!